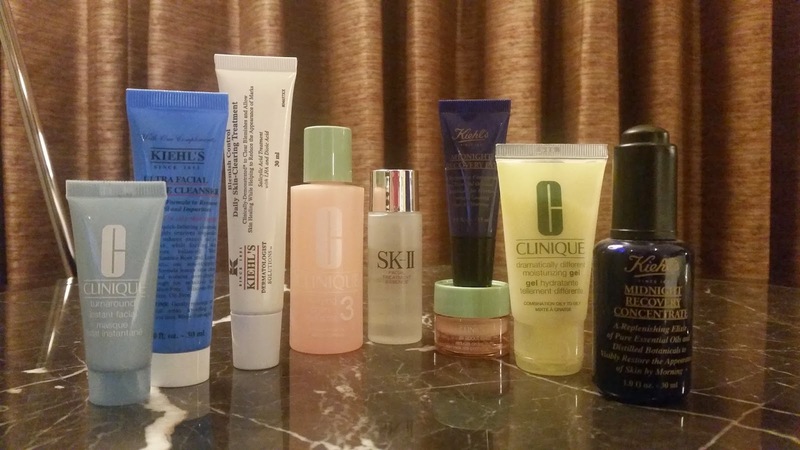 I never ever miss bringing a facial cleanser with me because hotels rarely provide one. I was torn between a scrub and foaming cleanser so I brought both. The Clinique Turnaround Instant Facial Masque is my recent favorite facial scrub. This product is totally saturated with fine grains that seem to thoroughly cleanse your pores. I actually love the specks of glitters it leaves on your skin and the invigorating feeling after every use. 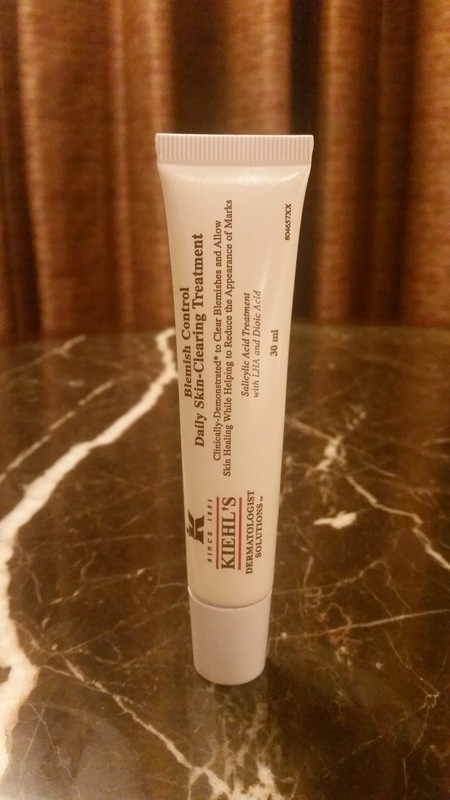 The Kiehl's Ultra Facial Oil-Free Cleanser is my current face wash. Good thing Kiehl's threw in a sample tube when I bought the full size. I love how this foaming wash thoroughly cleanses yet feels so soft on your skin, not the usual squeaky clean feeling that other deep cleansers tend to cause. Bringing a toner is another must-do when you travel. I chose to bring the Clinique Clarifying Lotion because I love how it effectively removes excess oil and dirt without drying your face. It doesn't sting and can be used even on active blemishes because it's non-irritating. 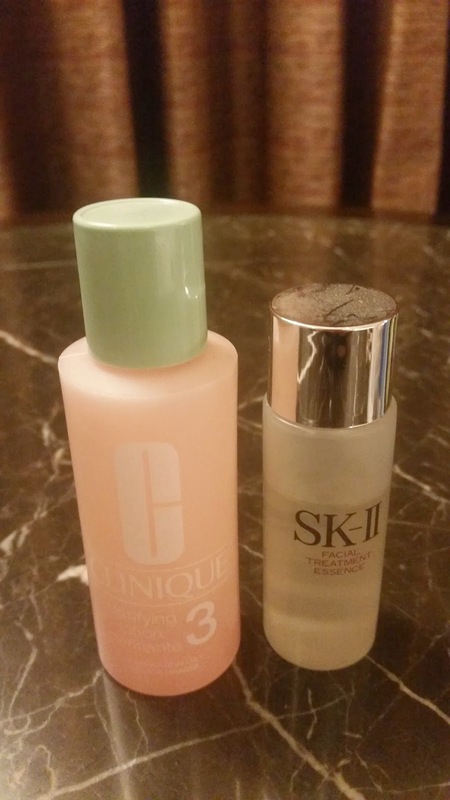 I also packed my SK II Facial Treatment Essence because I wanted extra pampering for my skin. I still have more than half a bottle full of this miracle product and I am obsessed with how it truly nurtures your skin. Being on a break doesn't mean you have to loosen up on protecting your skin from impurities. This is why I never fail to bring my most reached for product to prevent blemishes, the Kiehl's Blemish Control Daily Skin-Clearing Treatment. I love how a small dot is enough to tame an active pimple. You'd be surprised at how fast this product can heal break outs and lighten blemishes. It's so freaking awesome that it deserves a full review so do watch out for that. Must I stress on the importance of hydrating your skin every chance you get? Bringing a moisturizer is something you must never skip on. 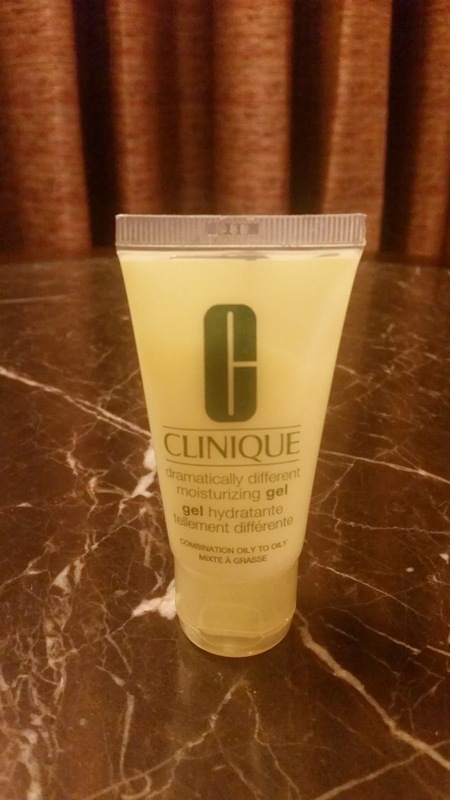 I was excited to bring a tube of Clinique Dramatically Different Moisturizing Gel because I haven't tried it before. I've been an avid user of the Clinique Dramatically Different Moisturizing Lotion but I never got to try out the gel so YAY!!! I love the cooling effect it gives and how my skin feels moisturized without the icky feeling. 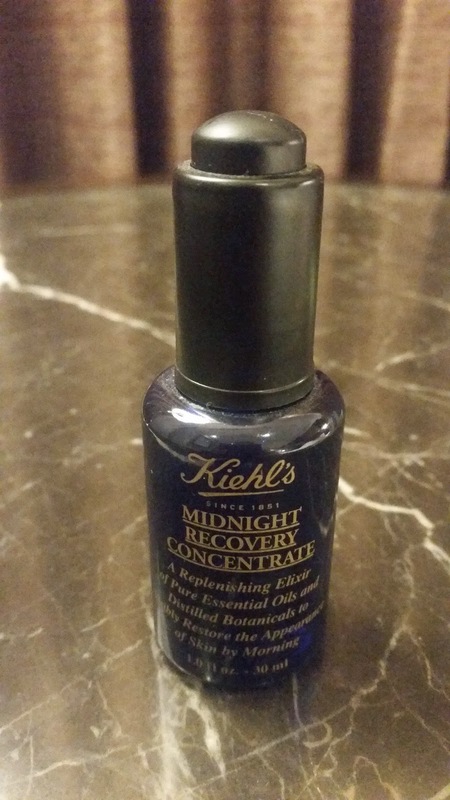 To complete my skin-pampering regimen, I made sure to bring a bottle of Kiehl's Midnight Recovery Concentrate. 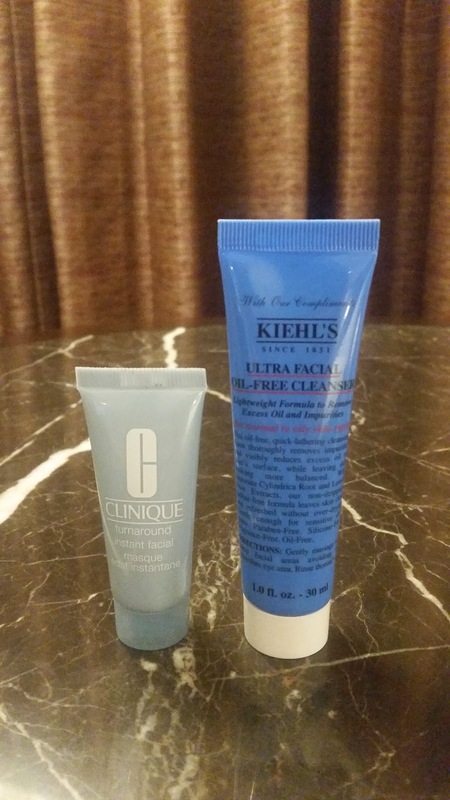 Now this is one of the two products I brought that are full size (the other being an eye cream which is discussed next) yet travel-friendly. This concentrate nourishes your skin overnight so you wake up with a supple and smooth feeling. See my full review here. Never neglect your eye areas because they're the first ones to show signs of aging. I give my under eyes extra TLC in the morning with Clinique All About Eyes. I love how just a tiny bit of product is needed to cover the under eyes. It doesn't sting and it leaves your eye areas looking well rested with less puffiness. 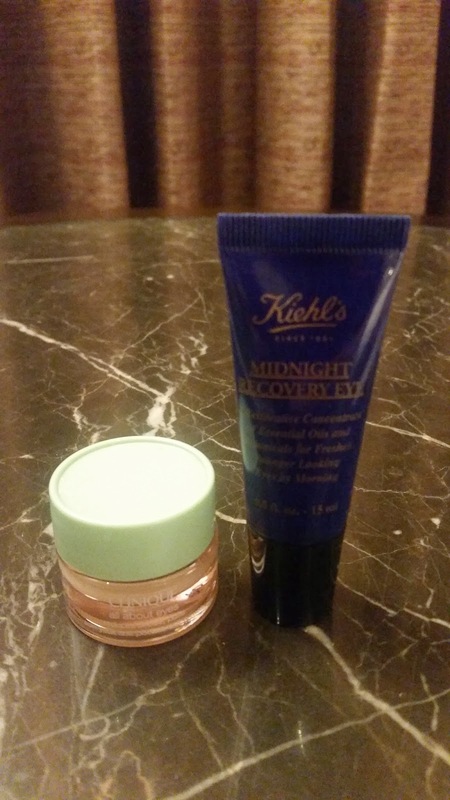 At night I prefer using the Kiehl's Midnight Recovery Eye Cream. Half a rice grain is all you need to cover each eye area. I've used this on and off for about 4 months and I notice my dark circles have lightened a bit. You may read a full review here. So those are my star products for travel. Good thing I got them in small sizes so I could just grab them and bring with me everywhere. I will be having a series of travels in the coming months so I'm definitely tagging these along. Thank you for visiting my blog and have a meaningful long weekend.